She's an entrepreneur, a champion of STEM education for girls and a literal rocket scientist. And now she's in charge of the Girl Scouts. Sylvia Acevedo is taking over as permanent CEO of the organization at a time when membership has just stabilized after years of decline. About 2.5 million girls are involved. One of Acevedo's jobs will be to get that number up. The sales pitch should be easy: Her own life story has proved that scouting can be life-changing. 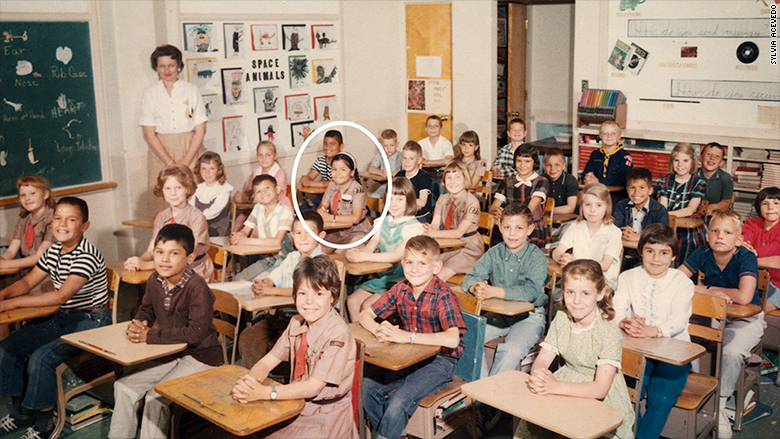 Acevedo joined the Girl Scouts when she was 7. She grew up in New Mexico, in what she described as an insular family. 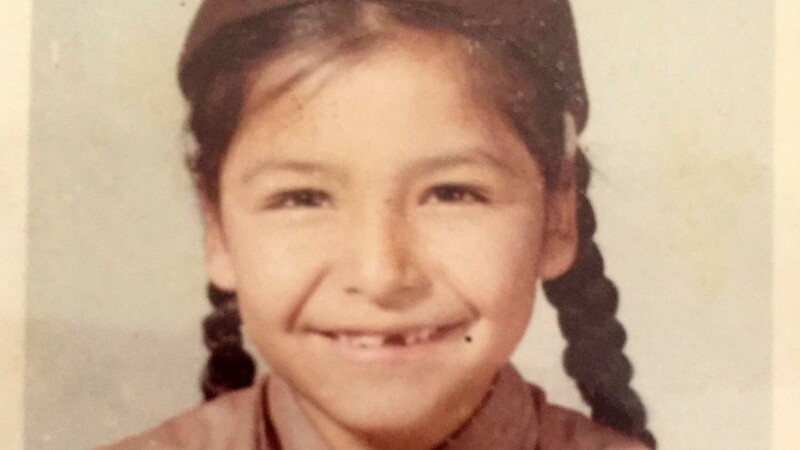 Her grandparents had come from Mexico, and the family was strong and close, but "we didn't fully assimilate into the community," she said. 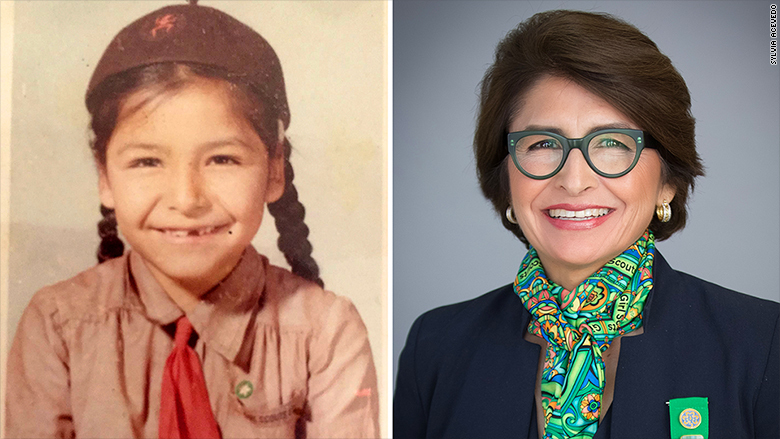 Sylvia Acevedo, the new Girl Scouts CEO, became a member herself when she was 7. Joining the Girl Scouts helped her make friends and find her interests. It was a troop leader, in fact, who first noticed Acevedo's interest in science. "She saw me looking at the stars one night and picked up on it," she said. "I wanted to earn a cooking badge, but she urged me to try for a science badge." Acevedo got a hobby rocket kit and put together a rocket "that would pierce the bright blue New Mexico sky." It took her a few tries before the rocket took off. She earned the science badge. Acevedo fondly remembers the troop leader, especially because it was a time when people weren't encouraging girls to pursue those disciplines. "What she did was make me realize I could set my own goals and create opportunities for myself," she said. Sylvia Acevedo credits her Girl Scouts troop leader for her interest in science and technology. Acevedo went on to become an engineer and worked for NASA in its jet propulsion lab, including on the 1979 Voyager fly-by of Jupiter. She later worked at IBM and Dell before launching and selling a business software startup. She was given the interim CEO job at the Girl Scouts a year ago. Acevedo has focused on advocating for STEM education, particularly emphasizing the value to girls in minority communities in the United States. "If you have a basic tech understanding, you will succeed in the 21st century," she said. She wants to introduce new STEM and robotics badges. Acevedo also wants to add vigor to the Girl Scouts' civics program. More than half the women in Congress were once Girl Scouts, the organization says. "The Girl Scouts give you skills that enhance your life," Acevedo said. "We've seen how members graduate at a higher level of performance and later in life make more money. What we create is human capital." Monique Limón, a member of the California Assembly who nominated Acevedo for an award from the Latino Legislative Caucus this year for her work on education, praised her choice as CEO. "She is creating a different reality for young girls across the country," Limón said, "using her own life story to show them anything is possible."